BL and David discuss brands’ earned Super Bowl Media; Super Bowl LIII commercials; egregious packaging; Minneapolis’ frozen pants; LinkedIn interest targeting; dearly departed Google services; Apple’s power play against Facebook and Google; Adidas Black History Month all white fail; the invisible generation; super-complicated CAPTCHAs; a Jeep Wave case study…and much, much more. Online viewing of Super Bowl advertising content and commercials has soared to its highest viewing levels in five years — mostly from unpaid “earned media” exposure in online media. The Debutante’s Ball for television advertising is upon us. A sub Reddit is calling out excessive packaging that is a massive contributor to global waste. Contributors share photos of the packages they’ve received, often drowning in paper or plastic. Minneapolis residents used the Polar Vortex as an opportunity to create frozen jeans sculpture. LinkedIn has added the ability to target users by the types of content in which they show interest. Apple punished Facebook and Google for violating their terms of service by shutting down productivity within both offenders companies. After social media backlash, Adidas pulled the all white shoe it issued to celebrate Black History Month, which is February. 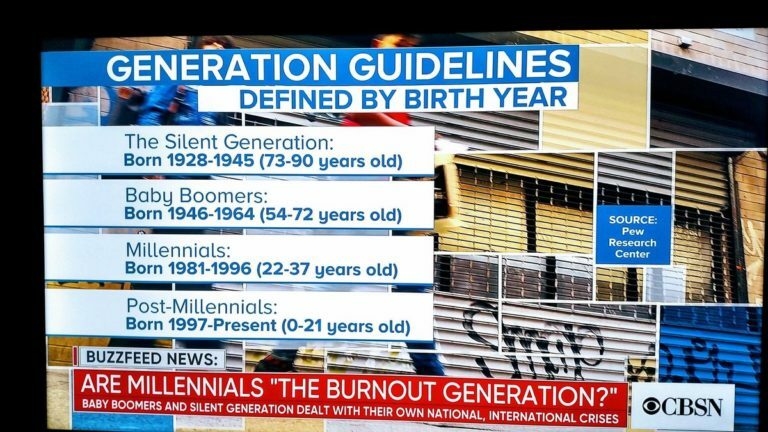 CBS News completely ignored Generation X within a graphic depicting living generations and Gen Xers responded in Gen X fashion. Neil Patel has updated his fantastic keyword discovery tool with a bunch of new, useful features. David demonstrates how a video he created explaining a brand phenomenon called The Jeep Wave earned nearly 87,000 views by fullfilling a demand expressed in search queries on both YouTube and search engines. Roger Stone gives us a 3 minute 40 second explanation of how he chose his outfit for his Mueller indictment court appearance – right down to his Charvet boxers. We can only hope this soon will be the infomercial for an auction of his fancy duds. Fortnite is more than just another video game.